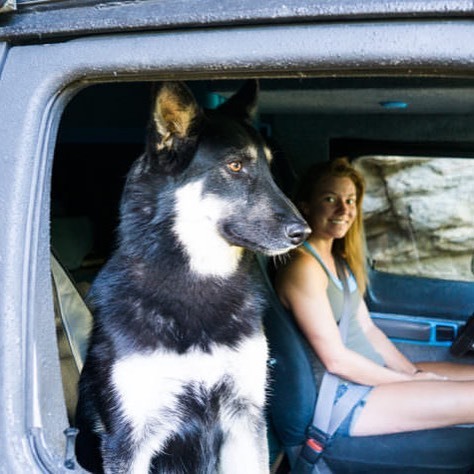 My name is Kate and I have been traveling in a self-converted 1996 Dodge B1500 campervan with my husband Ian and our dog Harper for the past 14 months (since March 2017). We met at Arizona State University and have been living in Arizona for the past few years before moving into our camper home. So far we have traveled to 43 states throughout the US and we are working on finishing up the rest! We started our journey in Phoenix, Arizona and have been working our way around since March 2017. We tend to spend the majority of our time on BLM campgrounds, visiting National Parks, and going on long hikes in state forests. We each work about 20 hours per week. Kate is a graphic designer and front-end developer. Ian is an industrial designer. After living in Arizona for quite a few years, we decided that it wasn't really a place that we wanted to settle down. Kate missed the snow of Wisconsin and Ian missed the green trees and mountains of Colorado. We thought van life would be a fun way to travel around to different areas and figure out a place to stop and live afterward. When you're living in such a tiny space patience is huge! It's really easy to get on each others nerves when you are with each other 24/7. We have learned to get over squabbles really quickly and to not hold grudges. I thought I was a little bit of a minimalist before, but it's nothing like moving into a van! It's crazy how quickly you adapt to only owning a few things. I never thought that having just three boxes of clothes would seem like too much. Van life has been a great experience and I appreciate traveling much more than material things now. Whether you're living in a house, or living in a van, there never seems to be enough time. 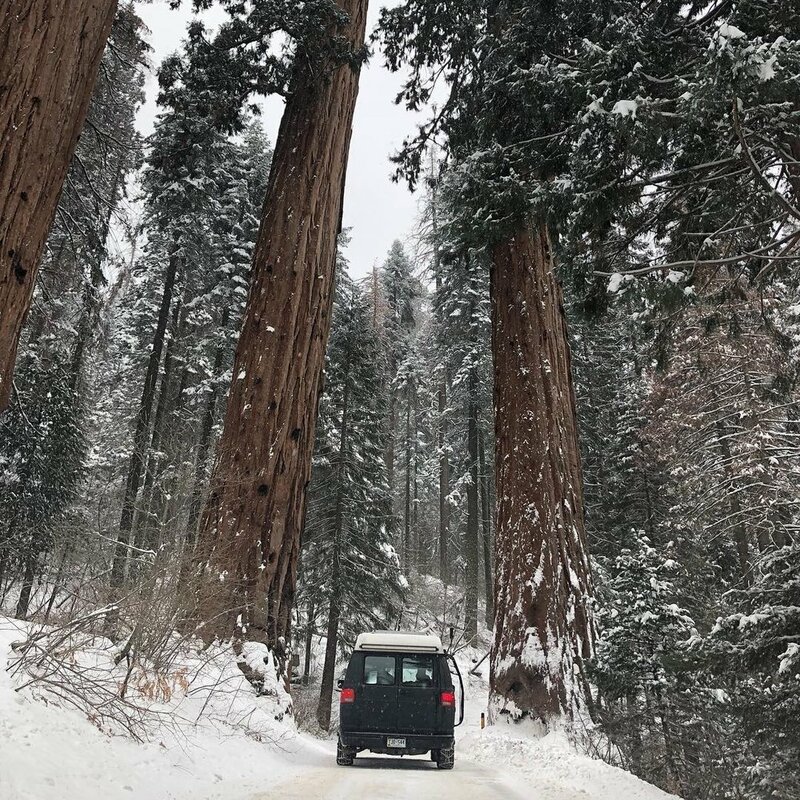 When we first thought about moving into a van I thought I would have all the time in the world to exercise, go on cool hikes, learn new skills and drive places every day. It turns out moving into a van doesn't grant as much free time as one would expect. We always figure out a way to fill it up! That was an unexpected consequence, but we're still learning to budget our time better. A big thing that we weren't expecting is bugs! It's sounds funny, but living in Arizona for the past few years there are barely any bugs. 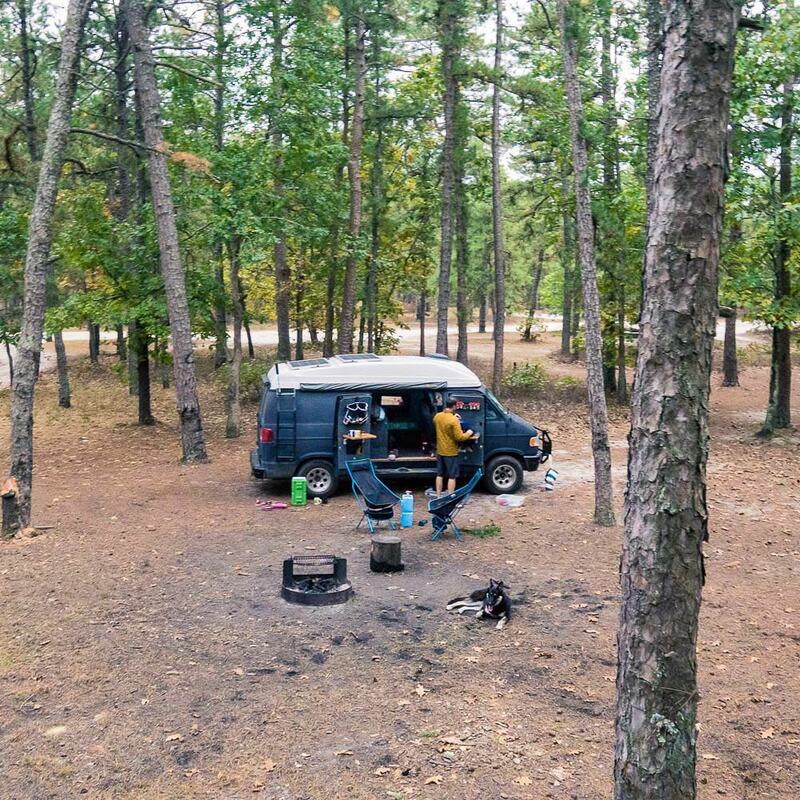 Our first summer of van life we spent in the midwest and the amount of mosquitos was crazy! 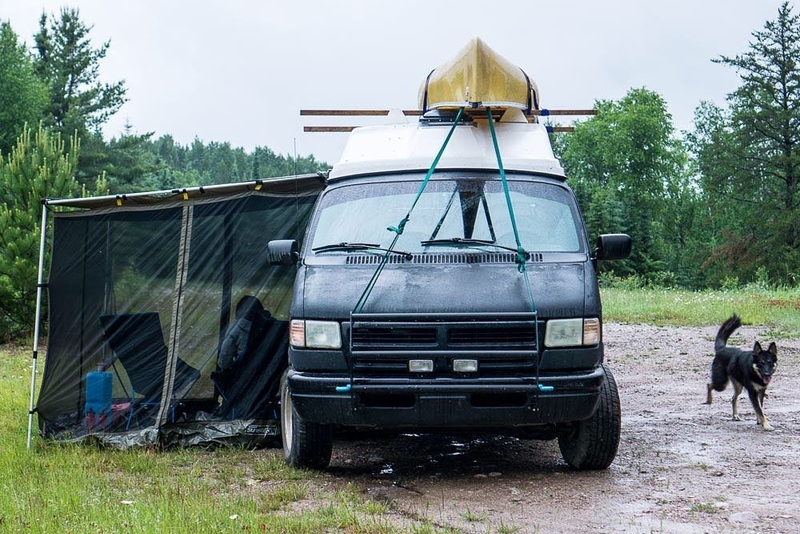 We were totally unprepared and had no bug nets or coverings built into our van. The midwest was hot and humid and we couldn't keep the doors open at night because of all the mosquitos. One of the first things we built into the van once we got a chance were mosquito nets. I would say just go for it! I've rarely met people to tried living in a van and regretted it. If you try it and decide you don't like it, you can always go back to a more traditional lifestyle.